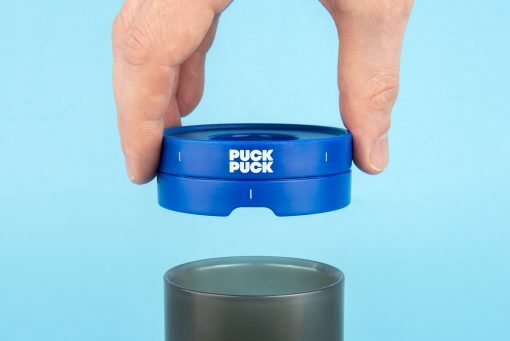 PUCKPUCK inexpensively turns your AeroPress into a cold brew drip tower. 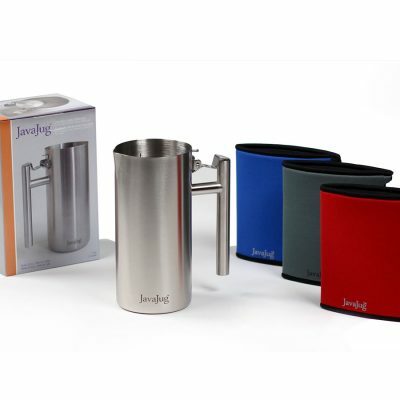 Create great tasting cold brew coffee wherever you go! 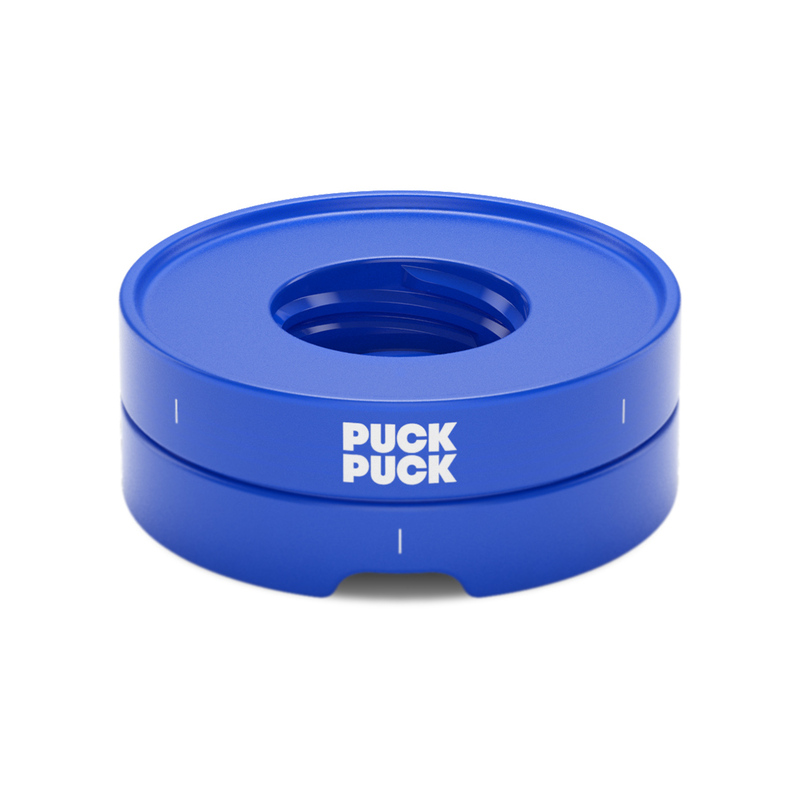 It clips on top of your AeroPress chamber and with a quick twist to adjust you can be making cold brew coffee in a matter of seconds. The drip tower method of making cold brew coffee is the process of slowly dripping water onto a bed of coffee over a period of 2-3 hours. 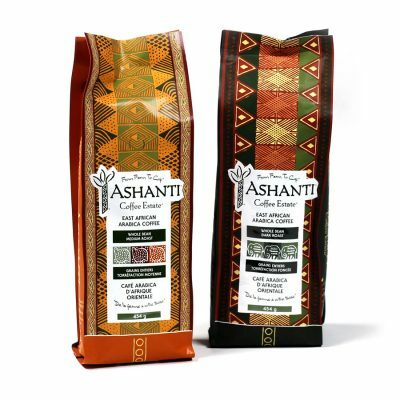 This extracts a flavour that doesn’t have the usual bitterness you expect from a cup of hot coffee, instead your patience is rewarded with a rich, sweet, fruity body and smooth aftertaste. 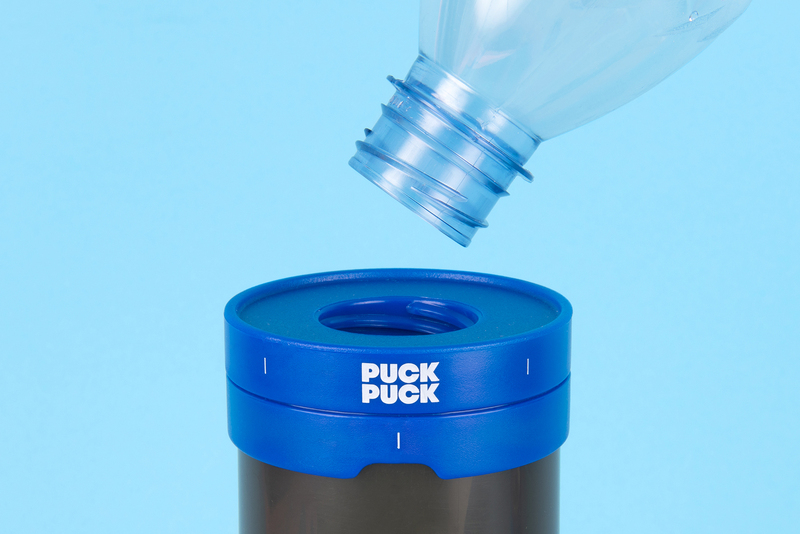 It’s perfect over ice, with milk or even a dash of rum! 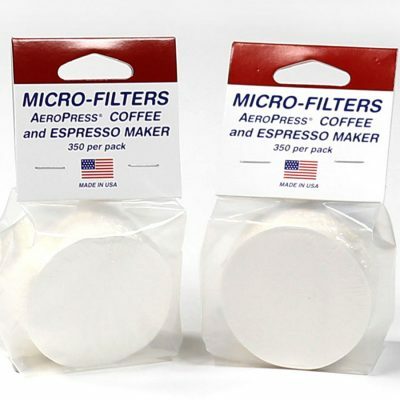 PUCKPUCK was developed to accompany the AeroPress Coffee Maker at home or on the go. 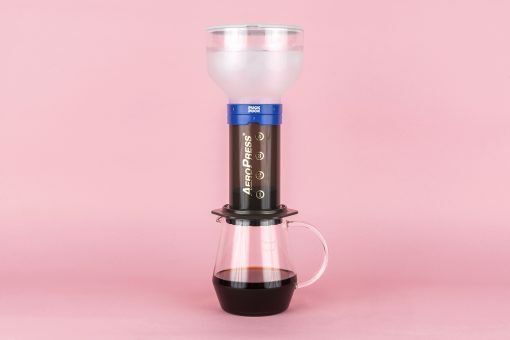 Allowing you to create great tasting cold brew coffee at a fraction of the cost of a large drip tower but without compromising on the amazing taste of slow dripped cold brew coffee. Use your own water bottle on top: the PUCKPUCK’s innovative use of a standard mineral water screw thread allows you to use leading brand mineral water as part of your setup – perfect for traveling.